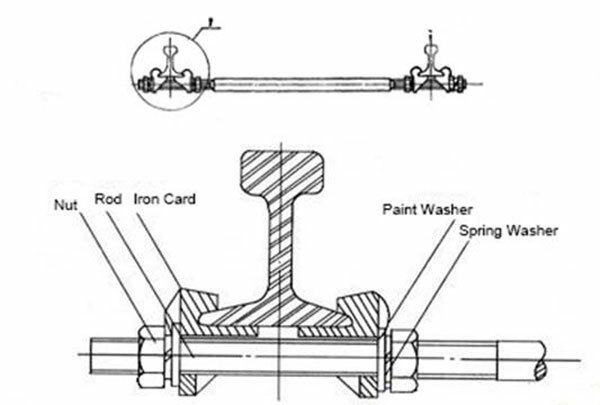 Rail gauge rod is also called gauge tie rod or gauge tie bar. As its name, rail gauge rod is a member bar that is specially designed to joint two steel rails at the rail bottom to protect the rails from tilting and keep the rails in certain rail gauge. As a professional manufacturer of rail gauge tie rod, AGICO can supply standard gauge rods for 56-½" track and rails of 60-140 lbs, for both non-insulated and insulated type, with approved certificate of ISO9001:2008 and CRCC authorization. Besides, we produce various kinds of gauge tie rods, such as AREMA 1-1/4 "insulated gauge tie rod, and other gauge rod used in UIC, BS rails, with length of 600mm,762mm,900mm,1435mm, etc. 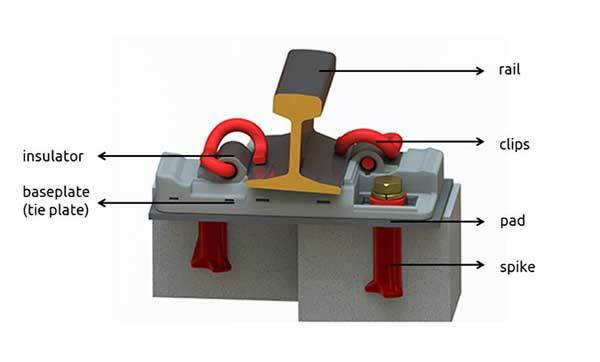 A standard gauge rod with two ends includes components of 1pcs rod, 4pcs iron card, 4pcs flat washer, 4pcs nuts, 4pcs spring washer, no matter for non-insulated, or insulated types. It is to be produced by customizing depending on customers’ drawings and specific requirements. 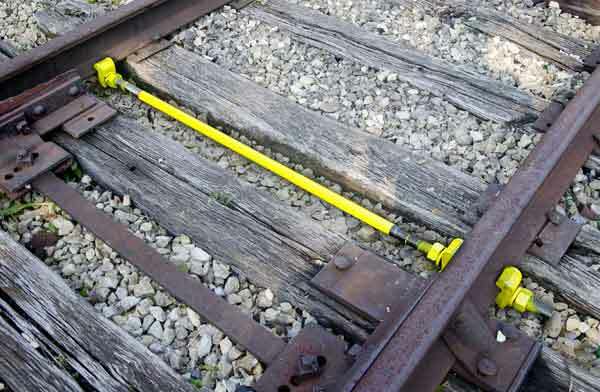 As an important accessory for railroad tracks, rail gauge tie rod helps to improve the rails’ lateral stability and also the ability to keep rail distance. 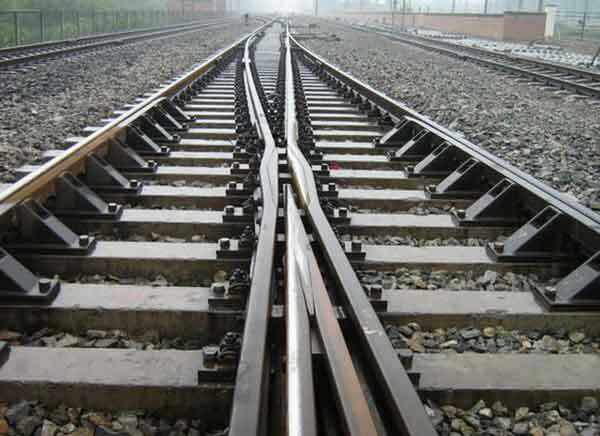 There are some railways that with track circuit, then it should use the insulated rail gauge rod which adopts high insulation resistance material to separate the circuit between two rails apart. Rail gauge may deviated if gauge tie rod is serious lacked, it may cause derailment or even overturned when the train passing by. 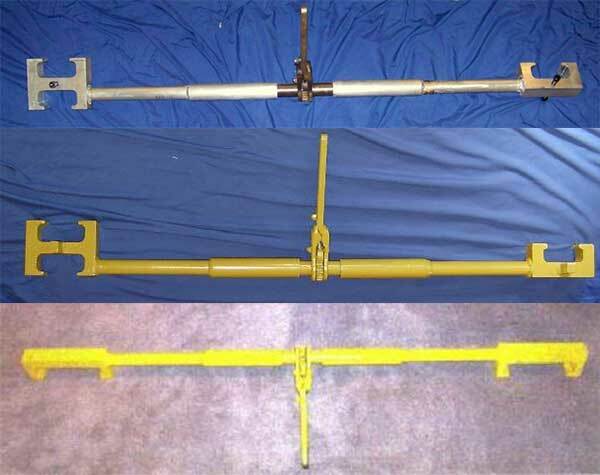 Made of two clamping devices at either end to fix railway tracks and a connected rod in the middle, a rail gauge rod fastens two parallel railways with certain gauge railway and prevents the rail from sliding. 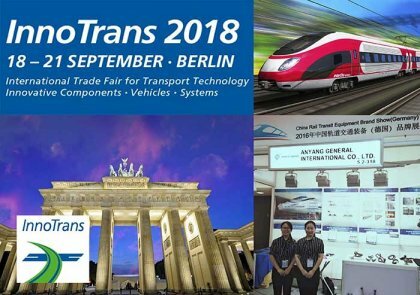 For some weaker sections of rails, like in sharp curves, turnouts, bad ties and temporary track, rail gauge rods are quite necessary, they help to prevent the rail track from unbalanced longitudinal tension and keep regular rail gauges. If the intensity of traffic on the track is likely to be more, a gauge wider than the standard gauge is suitable. The narrow gauges are laid in certain parts of the world to develop a poor area and thus link the poor area with the outside developed world. If the fund available is not sufficient to construct a standard gauge, a metre gauge or a narrow gauge is preferred rather than having no railways at all. If higher speeds are to be attained, the B.G track is preferred to the M.G or N.G track.